Look at this picture of the world – it’s blue, it’s green, it’s dynamic. It is covered in swirling clouds beneath which we can see hints of landforms, their shapes and their colors. Satellites tireless orbiting the Earth gathered the information to construct this image. And every pixel of this this awe-inspiring rendition of our planetary home is packed with data on geology, topography, climatology, and broad-scale biological processes. I still find it funny that I can sit in my office and watch weather patterns in Asia, cloud formation over the Pacific, or even examine the contours of the moon in minute detail, thanks to remote sensing programs. Not that lunar geomorphology is particularly pertinent to lion behavior, at least, in any way we’ve discovered so far. Still, an incredible amount of information on the Serengeti landscape can be collected by remote sensing and incorporated into our research. “Remote sensing” simply refers to gathering information from an object without actually making physical contact with the object itself. Primarily, this involves the use of aerial platforms (some kind of satellite or aircraft) carrying sensor technologies that detect and classify objects by means of propagated signals. Most people are passingly familiar with RADAR (“radio detection and ranging”) and SONAR (“sound navigation and ranging”), both examples of remote sensing technologies where radio waves and sound, respectively, are emitted and information retrieved from the signal bouncing back off of other objects. The broad-scale biotic or abiotic environmental information gathered can then be used in our analyses to help predict and explain patterns of interest. People are using remote sensing to monitor monitoring deforestation in Amazon Basin, glacial features in Arctic and Antarctic regions, and processes in coastal and deep oceans. Here are brief vignettes of several kinds of remote sensing data we draw upon for our own biological studies. NDVI is collected using the National Oceanic and Atmospheric Administration (NOAA)’s Advanced Very High Resolution Radiometer and is an assessment of whether a bit of landscape in question contains live green vegetation or not. And yes, it’s far more complicated than simply picking out the color “green”. In live plants, chlorophyll in the leaves absorbs solar radiation in the visible light spectrum as a source of energy for the process of photosynthesis. Light in the near-infrared spectral region, however, is much higher in energy and if the plant were to absorb these wavelengths, it would overheat and become damaged. These wavelengths are reflected away. This means that if you look at the spectral readings from vegetation, live green plants appear relatively dark in the visible light spectral area and bright in the near-infrared. You can exploit the strong differences in plant reflectance to determine their distribution in satellite images. Clever, right? NDVI readings are normalized on a scale of -1 to 1, where negative values correspond to water, values closer to zero indicate barren areas of tundra, desert, or barren rock, and increasingly positive values represent increasing vegetated areas. As you can see in the image above, we have NDVI readings for our study sites which can be used to examine temporal and spatial patterns of vegetation cover, biomass, or productivity — factors important in driving herbivore distribution patterns. The MODIS monitoring system is being carried in orbit aboard a pair of satellites, the Terra and Aqua spacecraft, launched by NASA in the early 2000s. The two instruments image the entire surface of the Earth every 1 to 2 days, collecting measurements on a range of spectral bands and spatial resolutions. Their readings provide information on large-scale global processes, including pretty much anything that can occur in the oceans, on land, or throughout the lower atmosphere. 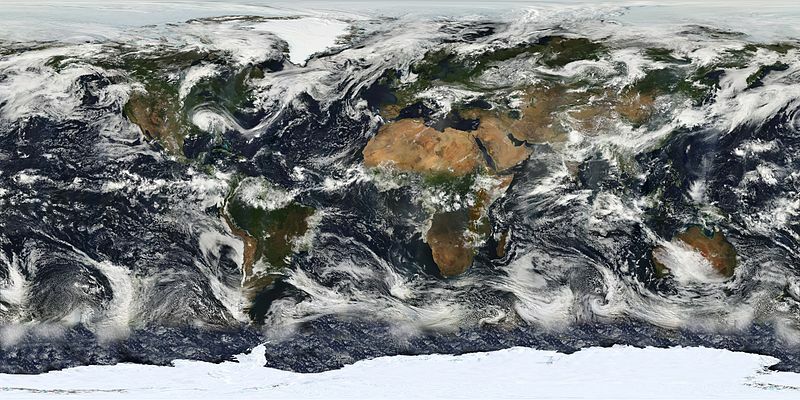 Many of the beautiful Earth images, such as the one at the head of this post, are constructed using MODIS data. 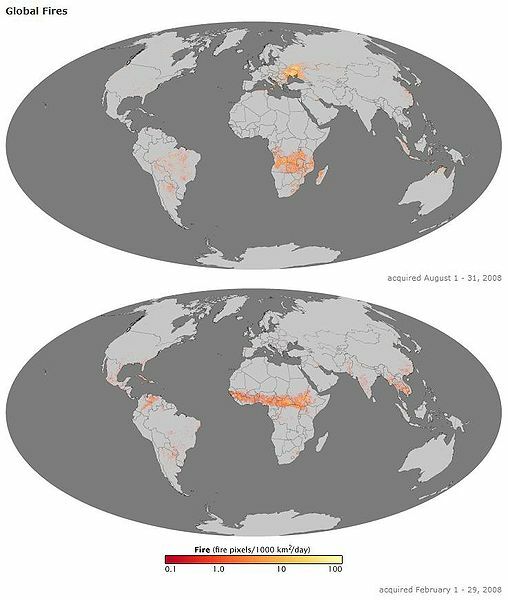 We hope to use MODIS information for the detection and mapping of wildlife fires, which impact organisms at every level of the Serengeti food web. LiDAR: Apparently, a common misnomer is that “LiDAR” is an acronym for Light Detection and Ranging, while the official Oxford English Dictionary (the be-all-end-all for etymology) maintains that the word is merely a combination of light and radar. Either way, it’s less of a mouthful than the other two techniques just discussed! LiDAR is quite well-known for its applications in homing missiles and weapons ranging, and was used in the 1971 Apollo 15 mission to map the surface of the moon. We also use this for biology, I promise. What LiDAR does, and does far better than RADAR technology, is to calculate distances by illuminating a target with a laser and measuring the amount of time it takes for the reflected signal to return. High resolution maps can be produced detailing heights of objects and structural features of any material that can reflect the laser, including metallic and non-metallic objects, rocks, rain, clouds, and even, get this, single molecules. 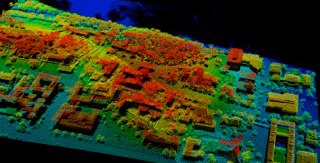 There are two types of LiDAR: topographic, for mapping land, and bathymetric, which can penetrate water. To acquire these types of data for your site, you load up your sensors into an airplane, helicopter, or drone and use these aerial platforms to cover broad areas of land. I first became aware of LiDAR from a study that used this technology in South Africa to map lion habitat and correlate landscape features with hunting success. I’ve also seen it used to map habitat for wolves and elk, determine canopy structure, and, interestingly enough, to remotely distinguish between different types of fish (weird, and also really neat). Now we don’t have LiDAR information for the Serengeti, so keep an eye out for anyone who might be able to lend us a couple of small aircraft and some very expensive sensing equipment!